Archer Exploration (ASX:AXE) has provided results from its collaboration with The University of Adelaide. The company has informed the market that graphene inks were prepared using a combination of established, publically available and proprietary methods – which took advantage of its chemically superior Campoona graphite. It’s worth noting that remains a speculative play and investors should seek professional financial advice if considering this company for their portfolio. Two printing techniques were undertaken during the trial, which utilised an inkjet printer and a laser-scribed printer for the preparation of basic electrode patterns (below). AXE has noted that the electrochemical characteristics of the printed electrodes were obtained, and are adequate for biosensor application use. The properties of the inks have yet to be thoroughly tested or optimised, and will be the subject of the ongoing collaboration. The University of Adelaide verified the authenticity of the graphene materials, properties and quality via technical analysis. This analysis included cyclic voltametric experiments that confirmed the capability of the printed electrodes to be used in electrochemical biosensor applications. In addition, the technical analysis confirmed that graphite sourced from AXE’s Campoona deposit could be used to produce graphene-based inks and printed electrodes in-line with or better than benchmarks set in related research fields. Both parties will now prioritise securing intellectual property rights to commercially available technology in relation to the inks. 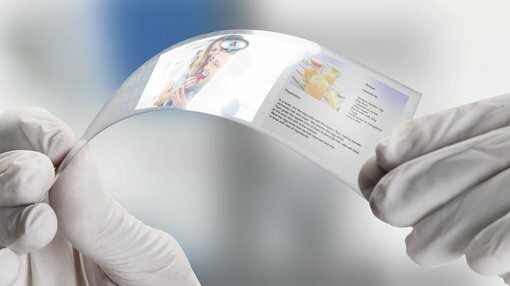 Graphene inks and printed graphene electronic device products form part of the emerging US$2 billion conductive ink technology market. This market is set to service niche segments of the global biosensor space, which is expected to grow to US$27 billion by 2022.